I splurged recently and bought the die that coordinated with the pineapple stamp set (gifted to me by Offspring3 last fall). 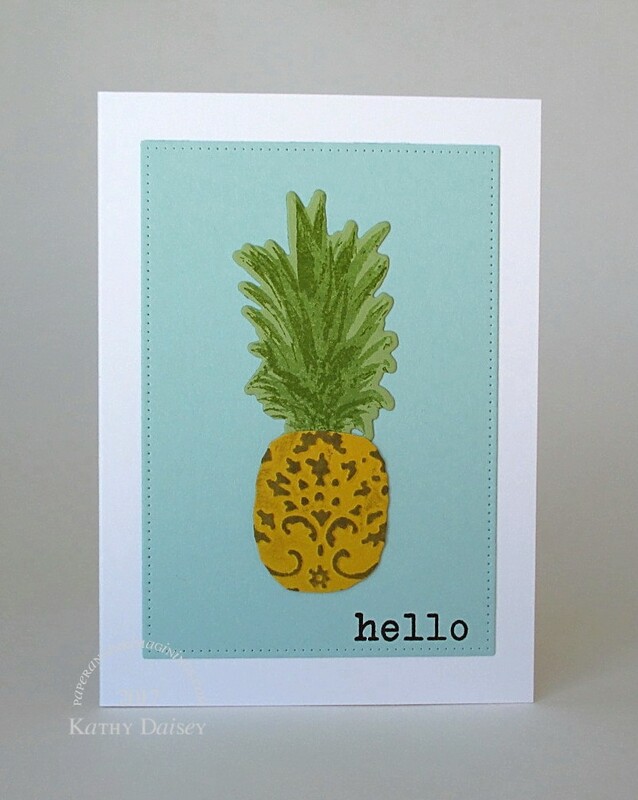 I stamped the greenery on green cardstock, and cut it out using the pineapple die. Then, I put yellow cardstock into the Provo Craft Textile embossing folder and embossed it. I rubbed tan ink over the raised areas, and cut it using the pineapple die. I guesstimated where the fruit/foliage line would be, and cut with scissors. Supplies: Stamps – Hero Arts, paper – Neenah Classic Crest Solar White, Stampin’ Up! Daffodil Delight, Pear Pizzazz, Pool Party, inks – Stampin’ Up! 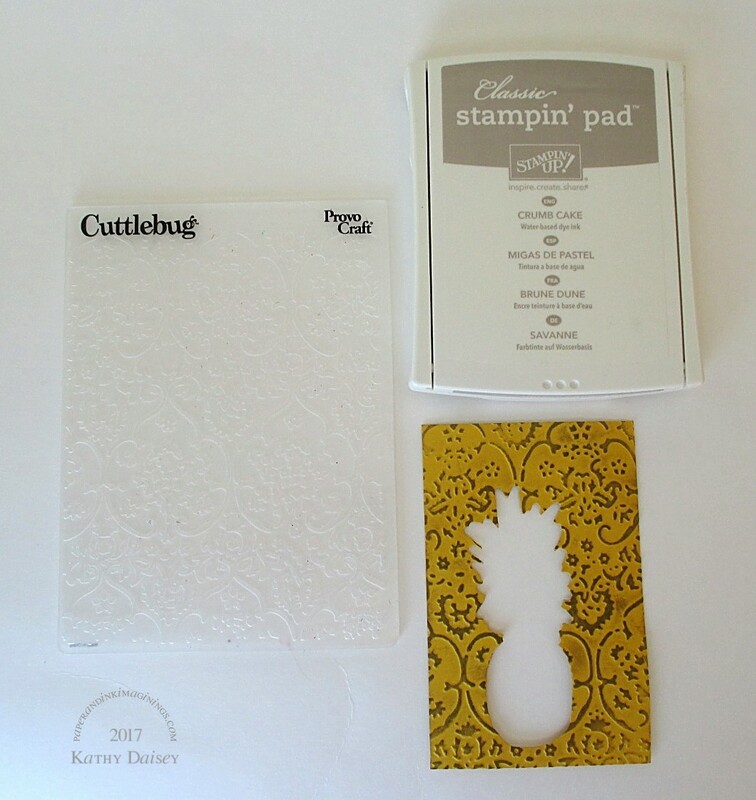 Crumb Cake, Old Olive, Pear Pizzazz, VersaFine Vintage Sepia, dies – Hero Arts (pineapple), My Favorite Things (pierced rectangle), embossing folder – Provo Craft, embossing powder – Filigree Fine Art Powder clear. Categories: card, caring, encouragement, note | Tags: card, Hero Arts, My Favorite Things, Neenah, Provo Craft, Stampin' Up!, Tsukineko, VersaFine | Permalink. That use of embossing is s a genius idea! A most artistic and pleasing pineapple! Thanks, Gillian! I was so excited when that “emboss the pineapple” light bulb went off in my head.